Akin, Jimmy. “Brass Tacks: History as the Ancients Wrote It” in This Rock, Vol. 15, No. 2, February 2004. _____. “Brass Tacks: History as the Ancients Wrote It — Part II” in This Rock, Vol. 15, No. 3, March 2004. Arendzen, J. P. The Gospels — Fact, Myth, or Legend? London: Sands, 1924. Bandas, Rudolph G. Biblical Questions, Volume I: The Old Testament. Milwaukee: Bruce, 1935. _____. Biblical Questions, Volume II: The New Testament. Milwaukee: Bruce, 1936. Batiffol, Pierre. The Credibility of the Gospel: “Orpheus” et L’ Evangile. NY: Longmans, Green and Co., 1912. Carson, D. A. and John D. Woodbridge, eds. Scripture and Truth. Grand Rapids: Baker, 1998*. Case, Thomas W. “The Magnificat According to Raymond E. Brown” in The Catholic Faith, September/October 1998. Catholics United for the Faith. Faith Facts: Scripture — A Catholic Undertsanding of Biblical Inerrancy, n.d.
Dobrowski, Peter P. “Is There Error in the Bible?” in The Priest, August 1997. Giesler, Michael E. “Brown’s Birth of the Messiah… Revisited” in Homiletic & Pastoral Review, February 2001. _____. Booklet # 178: The Gospel Truth. NY: Scepter, 1988. Hagerty, Cornelius. The Authenticity of Sacred Scripture. Houston: Lumen Christi, 1969. Harrison, Brian W. “Bomb-Shelter Theology” in This Rock, Vol. 5, No. 12, December 1994. _____. “Catholic Biblical Studies: The Golden Legend” (originally entitled “On Rewriting the Bible: Catholic Biblical Studies in the ’60s”) in Culture Wars, January 1999. _____. “Contradictions in Scripture?” in Living Tradition, No. 64, May 1996. _____. “The Encyclical Spiritus Paraclitus in its Historical Context” in Faith & Reason, Spring 1997. _____. “The Morning of Jesus’ Resurrection in the Light of Biblical Inerrancy” in Living Tradition, No. 107, September 2003. _____. “Pope Paul VI and the Truth of Sacred Scripture” in Living Tradition, No. 68, January 1997. _____. The Teaching of Pope Paul VI on Sacred Scripture. Rome: Pontificium Athenaeum Sanctae Crucis, 1997. Keane, Eamonn. “The Bible and the Church” in Catholic Dossier, January-February 2000. Keller, Werner. The Bible as History, 2nd Revised Edition. NY: Bantam, 1980. _____. The Bible as History in Pictures. NY: William Morrow, 1964. Kelly, George A. “A Wayward Turn in Biblical Theory” in Catholic Dossier, January-February 2000. _____. The Church’s Problem With Bible Scholars. Chicago: Franciscan Herald, 1985. _____. The New Biblical Theorists: Raymond E. Brown and Beyond. Ann Arbor: Servant, 1983. Kennedy, Gerald T. “The Holy Office Monitum on the Teaching of Scripture” in American Ecclesiastical Review, September 1961. King, Henry V. “Traditional Catholic Scholars Long Opposed Fr. Brown’s Theories” in The Wanderer, September 10, 1998. Lattey, C. “The Truth of Scripture” in This Rock, Vol. 5, No. 1, January 1994. Lattey, C., et al. The Bible: Its History, Authenticity and Authority. Treated in a Series of Lectures by Catholic Scholars. London: Sands, 1926. Likoudis, James. “A Scripture Scholar’s Blasphemy and Other Falsehoods” in SERVIAM, Jan/Feb 1997. McCarthy, John F. “New Light on the Geneologies of Jesus” in Living Tradition, No. 11, May 1987. _____. “On the Historicity of the Events of Easter Morning” in Living Tradition, No. 107, September 2003. McGovern, Thomas. “The Gospels as History” in Homiletic & Pastoral Review, November 1992. _____. “The Resurrection: Objective Fact or Pious Delusion?” in Homiletic & Pastoral Review, June 1990. Miguens, Manuel. “The Infancy Narratives and Critical Biblical Method” in Communio 7, No. 1, 1980. Most, William G. “Crisis in Scripture Studies” lecture, n.d.
_____. Free From All Error: Authorship, Inerrancy, Historicity of Scripture, Church Teaching, and Modern Scripture Scholars. Libertyville: Prow/Franciscan Marytown, 1985 (the link is not the 1990 revision). _____. “Scripture Full of Errors?” lecture, n.d.
Steinmueller, John E. Some Problems of the Old Testament. NY: Bruce, 1936. Thein, John. The Bible and Rationalism or Answer to Difficulties… , Vols. I-IV. St. Louis: Herder, 1901. Ward, Maisie. Canterbury Books: The Authenticity of the Gospels. NY: Sheed & Ward, 1956. Watt, David. “Was Our Lord a Fundamentalist?” in New Oxford Review, April 1999. Whitehead, Kenneth D. “Biblical Scholarship & the Faith of the Church” in Crisis, April 2000. Wrenn, Michael J. 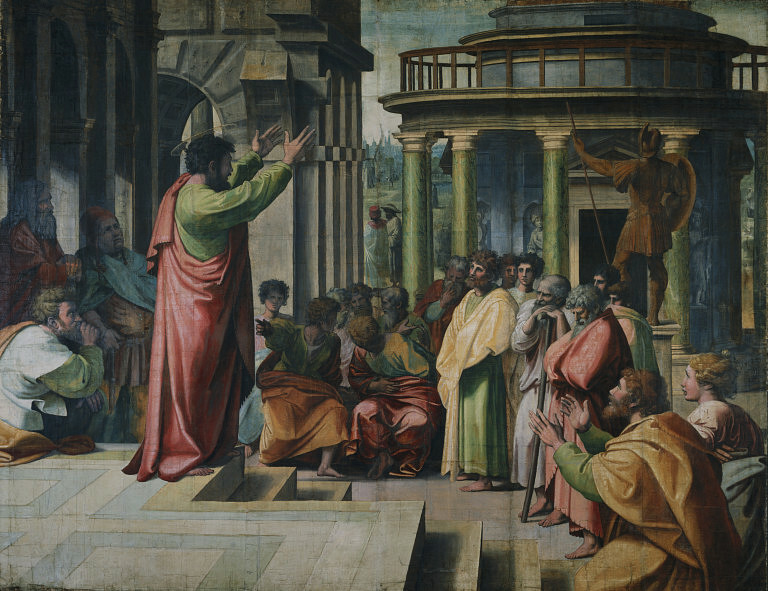 “Contemporary Catholic Biblical Scholarship: Certitudes or Hypotheses? A Commentary” from Catholic Resource Network, January 8, 1988. Young, John. “Destroying the Bible” in The Wanderer, April 20, 1995. _____. “The Unspoken Promise” in Religious Life, April 1995. Zia, Mark Joseph. “The Inerrancy of Scripture and the Second Vatican Council” in Faith & Reason, Summer 2006.